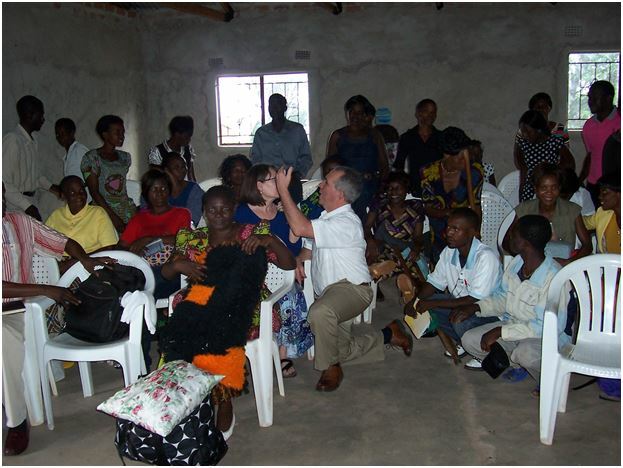 Exciting news from Jim Boud’s Trip to Zambia! Jim Boud (our ZSF Vice President) and his wife Linda have just returned from a very successful trip to Zambia. In Kasama they attended a meeting where all but three of our 55 micro-loan recipients were in attendance. Jim and Linda were impressed with what the micro-loan recipients had accomplished with just $200 worth of start-up equipment and/or product. Christabel and Charles Chitundu started a business making school uniforms for student grades 1-12 with the treadle sewing machine the ZSF purchased for them. Thomas Mubanga is selling vegetables and other food items from a small stand and supporting his family by doing so. Chanda Ngulube opened a stand selling phone cards and has now added other products. Enless Ngulube opened her own small sewing shop in town and has more work than she can keep up with. Linda and Jim visited her shop (see picture below) and Linda ordered a skirt, which Enless had ready two days later. Another woman opened a hair salon, and she and her husband are having a difficult time keeping up with the customer demand. Another couple successfully raise and sell 100 chickens every 6-7 weeks, having started with just 25 less than a year ago. One crippled man sews on the porch in front of another shop attached to a home (see picture below). He is now totally self-sufficient. Jim and Linda reported all this as tears ran down their faces. We wish each of you could have heard their emotional report. Everyone at the micro-finance meeting in Zambia expressed their appreciation for the opportunities provided by the ZSF. Jim conservatively estimated that 1 in 4 micro-loan recipients have created a job successful enough to provide for their entire family. Yuliya Love-Kryuchkova Lynch, the Utah ZSF volunteer over the micro loan program, was so excited over the Boud’s positive report that she has decided to go to Zambia next year with Peggy to fine-tune the program to ensure its continued success. 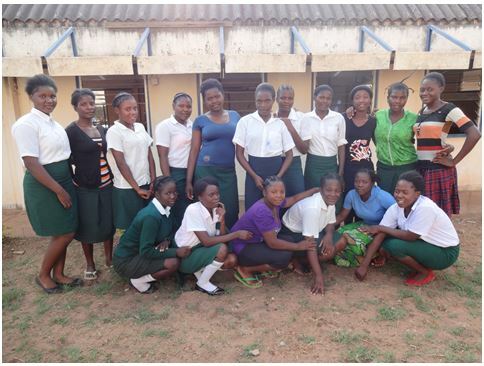 Jim had a great idea on how to provide continued assistance to ZSF high school graduates. He sat down with each principal of the four teachers’ colleges we sponsor and instructed that from now on, one-half of all the students we sponsor through college must be graduates of our high school scholarship program. When he visited each of the high schools we sponsor, he told the students if they finish high school and want to go to teachers’ college, there are scholarships waiting for them. Good idea, Jim! 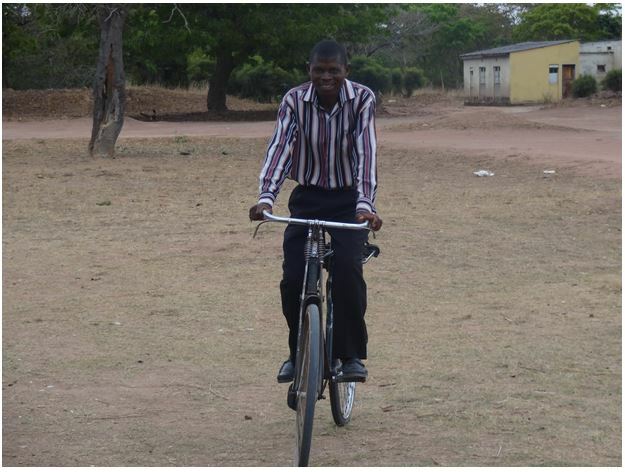 Darious Chanda, one of our teachers in our “Adopt-a-school” program, rides 45 miles on the bike we furnished him to pick up his pay from ZSF and purchase groceries each month. Jim and Linda met with the PEO, the education official over the Northern Province of Zambia. The PEO said he was very impressed with the ZSF’s ‘Adopt-a-School’ program and how our teachers are willing to work at the primary schools ‘out in the bush,’ where no other teachers want to go. He is going to fill all 15 employment openings he has available right now from the 45 ‘in the bush’ teachers we are presently paying salaries for! That means 15 of our “Adopt-a-School” teachers will be hired by the Zambian government and their salaries will triple. We can now hire 15 new ZSF graduates to start teaching in the bush. The cycle is working. In a country where numerous graduates from teachers college are waiting to be employed, this is great news for our ZSF graduates. We want to thank to all of our ‘Adopt-a-School’ sponsors for making this happen. Great progress is being made in Zambia, thanks to your financial donations. Students are being educated, teachers are finding jobs, and families are gaining a vocation. Many lives are blessed thanks to your generous contributions. You are making a difference!